Mark Bougourd has produced a detailed list Channel Islands submariners. It was presented to Lieutenant-Governor of Guernsey, His Excellency Vice Admiral Sir Ian Corder KBE, CB on the 2nd anniversery of his appointment. Sir Ian spend many years serving in the Submarine Service. 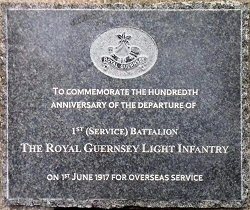 The first was to commemorate the hundredth anniversery of their departure from Guernsey and consisted of a plaque in Town Church, St Peter Port. 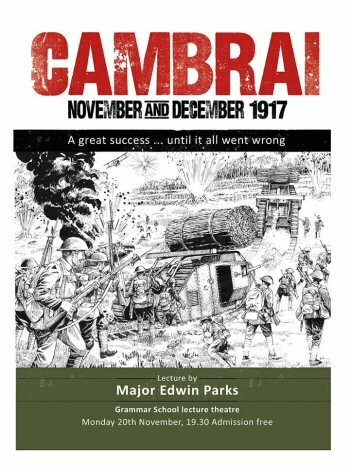 The second was at Les Rue Vertes, Masnieres, near Cambrai, the site of the Regiment's participation in the Battle of Cambrai in December 1917. Channel Television's report from Masnieres. Group members were in attandance and a wreath, on behalf of the Group, was laid. 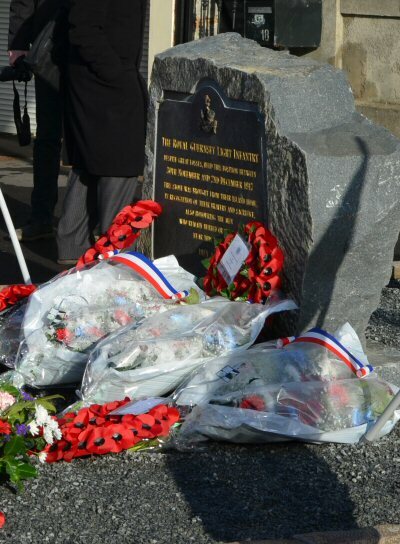 As part of the French Ambassador's visit to Guernsey, a wreath laying ceremony took place at the War Memorial, Smith St, to commemorate the Battle of Verdun and the loss of local French residents in WW1. 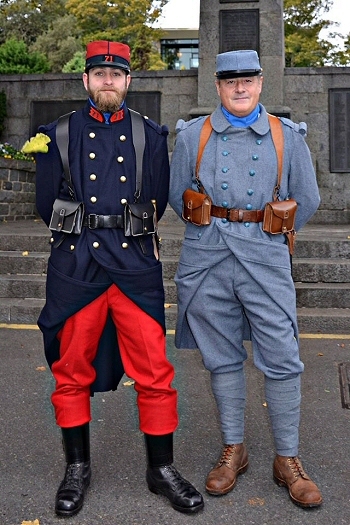 Two wreath bearers, in French uniform, were provided by the Guernsey Military History company. The Commonwealth War Graves Commission has confirmed that they will be erecting a new headstone for Able Seaman John Helman in St Andrew's churchyard, Guernsey. AB Helman was was recently recognised for commemoration, by the Commission, following extensive information supplied to them by the CIGWSG. Hundreds are expected to pack out Jersey's Royal Square this evening (4th August) to remember 100 years since the start of the First World War. Civil dignitaries, locals and members of the faith community will gather from 9pm for a special ceremony of light. A narrated evening of music and readings will be accompanied by projections of scenes from the Great War. Sark will be commemorating the centenary of The Great War with a service at St Peter's from 11 am, Monday 4th August.During the service, the names of the men who lost their lives in the conflict will be read out by school children.The Seigneur of Sark, JM Beaumont OBE, will then unveil a commemorative plaque marking the centenary. Enamel poppies will also be permanently fixed to the headstones of those who served. 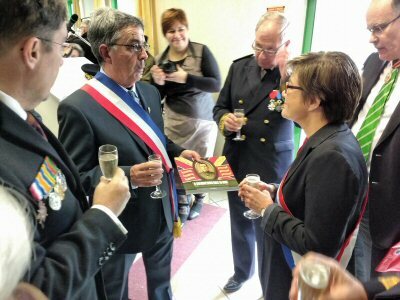 A Vin D'Honneur in the island hall will then be laid on for residents. There will be chance to view an exhibition of Sark World War One medals and memorabilia.The exhibition will be open to the public for the remainder of the week from 10 am until 4 pm daily. Families will also be presented with a copy of the Men of Sark book, which records details of all the men who served during the First World War. 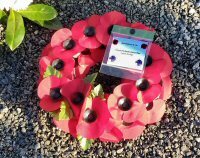 In the evening, the Sark branch of the Royal British Legion will be holding a candle lit vigil at the island's memorial. An ecumenical service organised by the Bailiff of Guernsey to commemorate 100 years since the outbreak of the First World War will be held next week. The Service will be led by the Senior Vice Dean, Rev. Kevin Northover, and Chief Minister, Deputy Rev. Jonathan Le Tocq will be the preacher. His Excellency the Lieutenant Governor, the Bailiff and Jurats of the Royal Court will all be in attendance. The Guernsey Concert Brass will be providing music for the service, which is open for all islanders to attend, and join in commemorating the centenary of the First World War. The service will take place on Monday 4th August, at St. Pauls Sunken Garden at 11am. It is expected to last around 40 minutes. With the centenary of the start of the Great War in mind, we need help from decendants of those who served in the Great War to help ensure that our Rolls of Honour and Service are as accurate and complete as possible. With this in mind, appeals for information have recently been published in the Jersey Evening Post and the Guernsey Press. Family members are coming forward with documents, photographs and and recollections for us to add and also to verify the accurancy of our Rolls. Various publications from Group members are planned for this anniversery. The First World War had an enormous effect on Jersey. Approximately 20% of the population served in some way. The purpose of this project is to gather images of those Islanders whoplayed their part in the Great War as servicemen or civilians. In a series of short courses at Highlands College, starting in May and June 2011, Group member Ian Ronayne will be examining key conflicts and their affects on Jersey. More detail here. Their Past Your Future, which runs from January 2007 to the end of 2009, is led by a partnership of; the Imperial War Museum; Museums, Libraries and Archives England; Northern Ireland Museum Council; National Library of Wales, and; Scottish Museums Council. The programme is supported by the Big Lottery Fund. CAMBRAI - Guernseymen and The Great War - An exhibition to commemorate the 90th Anniversary of the Battle of Cambrai in the First World War during which 40% of men in the Royal Guernsey Light Infantry were either killed, wounded or listed as missing. It was the end of a generation and the huge losses shocked the island to its core. The exhibition gives an overview of the Great War and focuses on the role of the Royal Guernsey Light Infantry within the conflict. The Channel Islands Great War Study Group has worked with the Museums Service in collating and supplying information for the exhibition. The Guernsey Museum & Art Gallery at Candie Gardens, St Peter Port, Guernsey. Mike and Rosemarie Thomas have spent many years photographing cemeteries and headstones in Belgium, France and Jersey. They have also researched the personal details of the soldiers found. Their cooperation is enabling us to add a wealth of detail to the Jersey Roll of Honour. 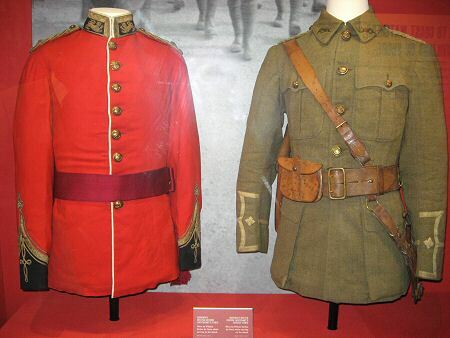 Family information in both Rolls of Honour has recently been expanded greatly. This work continues. BBC Radio Guernsey broadcast a live interview from Ploegsteert Memorial to mark the 90th anniversary of the R.G.L.I.s part in the Battle of the Lys. 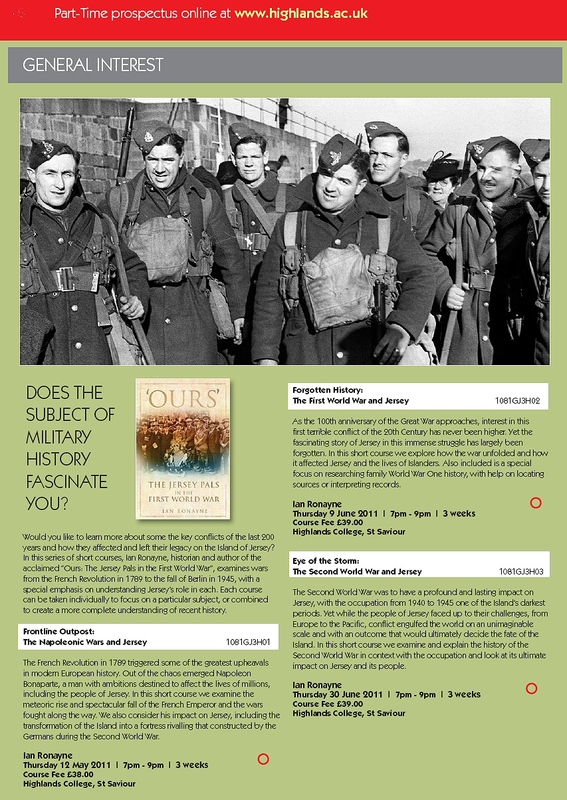 The Imperial War Museum is marking this with special displays and events at four of it's locations. Jersey is marking the anniversary with a full programme of events including the digging and manning of re-creation of a Great War front-line trench. Captain Alwin Claydon Bailey and Private Albert Warne have now been accepted for commemoration by the CWGC and that we have approached them a second time with more evidence to do likewise for Able Seaman John Helman*. Liz Walton has discovered that Helman went into the Brompton Hospital/Sanatorium a few days after his discharge from the Navy! Gunner Yves Blaise, buried at Foulon in Guernsey, is now properly commemorated by the CWGC. Previously, they had mistakenly commemorated his brother Emile. Jerseymen: Walter Cheney*, Alfred Poingdestre*, Thomas Ounan*, Walter Orange*, Harold Mutton*, Edward Syvret*, Thomas Whittle*, William Turner*, Auguste Jouanne*, Charles Pirouet, Cubitt Rundle, Wilfred Le Breton*, John Vibert, John (Jack) Ellis* and Joseph Lihou*. Guernseymen: John William Helman*, Ira Louis Le Messurier, Joseph Lihou* and William John Le Noury*. Several others are being considered for submission. An Old Victorian and a member of Jerseys Militia who served as a member of the Australian Imperial Forces during the Great War, Sergeant Chester Cecil Church is believed to be one of the (approximately) 400 men whose remains have recently been discovered in a mass grave at Pigeon Wood, Fromelles that was originally dug by the Germans after the Battle of Fromelles on 19th/20th July, 1916. The remains of these men are currently being disinterred, and will be subject to DNA analysis in the hope that some men can be identified. A new cemetery is being constructed for their re-interment which will take place in 2010. It is not currently known whether Chester Church had any relatives. After five years of research, Study Group member Ian Ronayne has produced an account of the 300+ men who formed the Jersey Overseas Contingent (the Jersey Pals), and who left the Island to serve with the Royal Irish Rifles, and later, of the survivors who continued with the Hampshire Regiment. Ians efforts has ensured that the story of the Jersey Pals no longer runs the risk of being forgotten by modern-day Islanders, and his work fills a major gap in the published history of 20th Century Jersey. 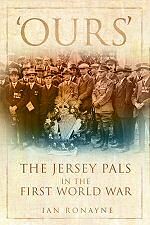 Published in August, 2009, Ours is the first book ever written that deals with Jersey and the Great War. The possibility that the remains of Old Victorian Sergeant Chester Cecil Church (see our recent news item) might be identified among those found at Fromelles has greatly improved. Family descendants have been identified by the Australian service authorities, and a number of the family have been invited to provide DNA samples. This of course depends on Chester Church having been buried at Fromelles by the Germans after the battle there. However, the likelihood is high given that his service file, held by the National Archive of Australia (www.naa.gov.au), contains references to the German notification of his death. Further information on the work at Fromelles can be found on the CWGC website (www.cwgc.org/fromelles).